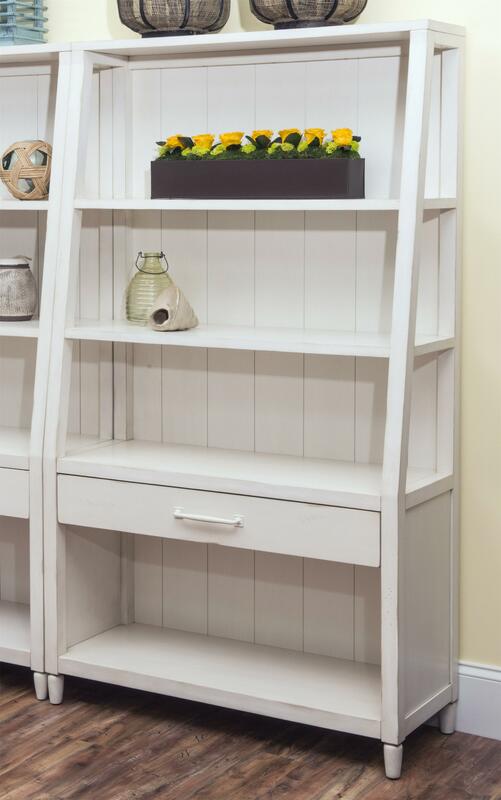 With shelving and a drawer, use this bookcase to bring style and storage in to any room in your home. The back of this bookcase has wood paneling for a coastal and casual look. 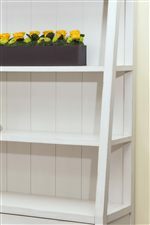 Shelves are perfect for holding books, magazines or displaying bowls, vases and other decor. Use the drawer for holding smaller items allowing you to keep your room looking neat and organized. Perfect for use in a living area or anywhere you need extra storage in your home. 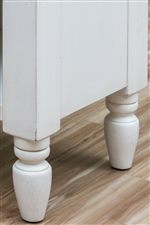 Finished in an antiqued white for a crisp, pair a few together for a larger space or use alone. 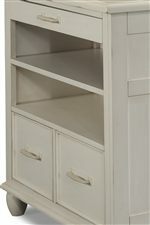 The Sea Breeze Splish Splash-White Bookcase with Shelving and Drawer by Carolina Preserves at Rotmans in the Worcester, Boston, MA, Providence, RI, and New England area. Product availability may vary. Contact us for the most current availability on this product. Handles & Hardware Linear bar pulls and rings. 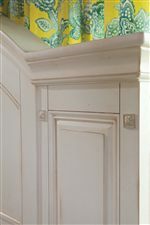 Case Detail Paneled drawers and doors, turned feet and simple molding used throughout. Construction: Case Constructed from hand selected Birch veneers and Rubber wood solids. Description: Top Paneled wood table tops. 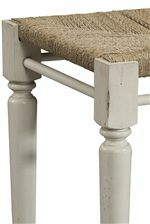 The Sea Breeze collection is a great option if you are looking for Casual Coastal furniture in the Worcester, Boston, MA, Providence, RI, and New England area.